Christopher Totten is the founder of Pie For Breakfast Studios, a Cleveland, OH-area indie game company and has done work as an artist, animator, level designer, and project manager in the game industry. He holds a Masters Degree in Architecture with a concentration in digital media from the Catholic University of America in Washington, DC. 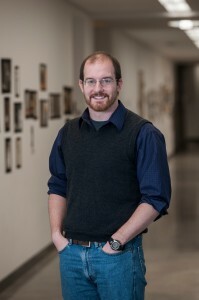 Chris is an executive organizer for the Smithsonian American Art Museum Indie Arcade and lifetime member of the International Game Developers Association (IGDA). Chris has written articles featured on Gamasutra, Game Career Guide, and other publications and is a frequent speaker at game industry conferences such as GDC, GDC China, East Coast Game Conference, GDEX, and others. He is the author of An Architectural Approach to Level Design, published with CRC Press/AK Peters in 2014 and Game Character Creation in Blender and Unity, released by Wiley Publishing in 2012. He is also the editor of the collected volume, Level Design: Processes and Experiences.